Early education in Fayetteville and how the grade schools were established make an interesting story. 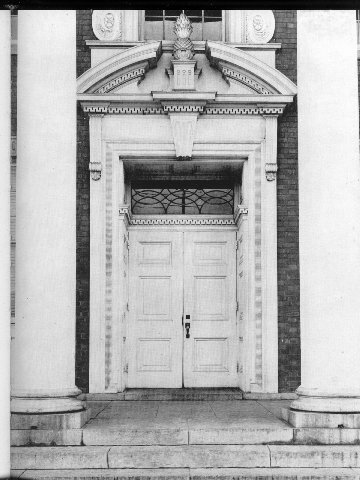 In 1794, the Fayetteville Academy was established with the Rev. David Kerr principal. It burned in the "great fire" of 1831. The Ravenscroft Academy was established in 1831 by the Methodist, and in 1832, Donaldson Academy was established. It was located one mile west of the Market House on a 30 acre site purchased on Hay Mount, a pleasant hill overlooking the town of Fayetteville. 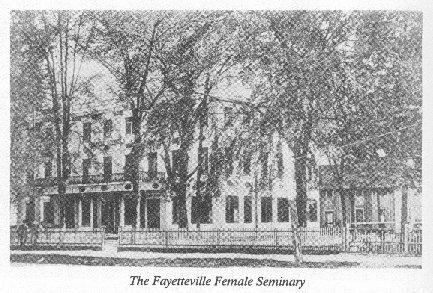 The Female Seminary opened around 1855. This fine building with large front balcony was located on the South side of Hay Street in the vicinity of the Miracle and Colony Theaters of today's period. There were many small private schools: a kindergarten by Mrs. Kate Utley in 1832; Misses Ellison's School; Miss Mabel Bingham's; Misses Mallett's School; Miss Philadelphia Matthews'; Miss Columbia Mims' School; and probably others. In 1867, the black citizens of Fayetteville agreed to establish a school for the benefit of their children. Gen. O. O. Howard of the Freedman's Bureau agreed to erect a building. The school became the Howard School, which was renamed the State Colored Normal School by act of legislature in 1877. Around 1875 The Peabody Fund offered One Thousand dollars to any city or town that would make an average attendance of three hundred pupils. Greensboro, Morehead City and Fayetteville made an effort and failed. Raleigh levied a tax of ten cents and enrolled three hundred seventy five pupils in the Governor's Mansion no higher than six grade. In 1878, Greensboro had one hundred twenty pupils with four grades. The Colored School that was established in Fayetteville in 1867 also received from the Peabody Fund. In 1878 in lower Fayetteville, there was a difficulty between two white men one Sunday afternoon. They were tried in the Market House on Monday. Six white boys and six colored boys were witnesses. At the end of the trial, the six colored boys signed their names but the six white boys could not write. All Fayetteville was looking on when this happened. The people were greatly disturbed. They did not blame the Negroes but they blamed themselves. Not waiting for the Legislature to meet, everyone subscribed from five cents up to two hundred fifty dollars. A fund of Thirty five hundred dollars was made and teachers elected. There were several local people, an officer of the United States Navy and a gentleman from New England canvassed for Superintendent. They met on Saturday night and no one up until 12 o'clock received a majority. Alexander Graham, a local resident, teacher and lawyer had refused to be a candidate and was out of town. Someone nominated him and after several ballots, he was elected the first superintendent of Fayetteville Graded Schools. 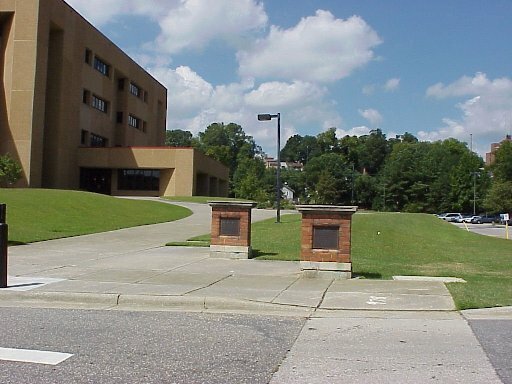 The school was established in three places; Donaldson Academy on Haymount, the Fayetteville Female Seminary and in Campbellton, lower Fayetteville. 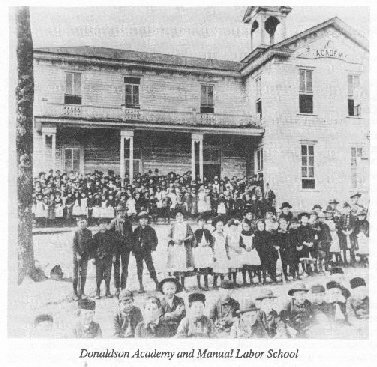 The school began September 5, 1878 with an enrollment of five hundred pupils, the largest in the state. The average number of pupils for the first year was three hundred which gave the school Eight Hundred dollars from the Peabody Fund. This amount was paid to the Superintendent. The first high school was established in Fayetteville teaching Latin, Greek, French and German. By 1881 the school prepared and sent boys to the university. In 1882 Superintendent Alexander Graham personally escorted two young ladies and one young man to the University for enrollment in the Classical Department. They all passed the examination. After some hesitation by the Professors, due to the fact that these students had come from graded schools, they all signed their certificates. The Peabody Fund ceased to aid the graded schools and devoted their money to the high schools and the normal schools. Fayetteville received six hundred dollars for her high school. 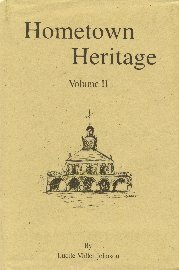 The above information and pictures is taken from Lucile Miller Johnson's book, Hometown Heritage, Volume II, published 1992 by Taylor Publishing Company, Dallas, Texas in cooperation with The Woman's Club of Fayetteville, Fayetteville Publishing Company and the Florence Rodgers Charitable Trust. Central School, located at the corner of Burgess Street and Maiden Lane, was built in 1911 and opened in the middle of the school year of 1912. Was the High School until 1924. It was then converted to a grade school, 1st through 6th grades and used until February, 1960. 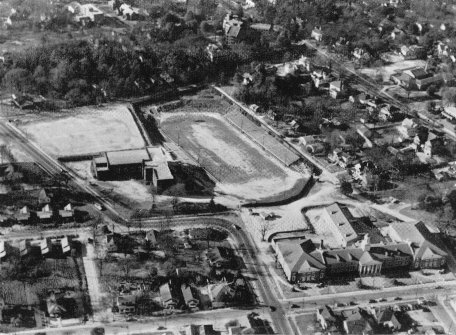 Demolished in October, 1963 is now a parking lot opposite the Cumberland County Public Library. 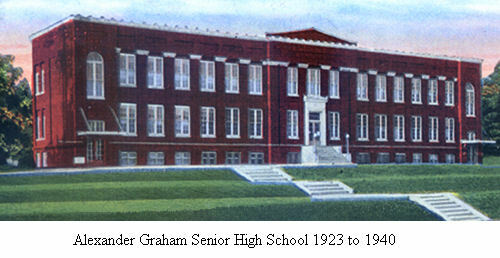 A new high school, named in honor of the distinguished Alexander Graham opened for fall classes on September 23, 1923. Located on McGilvary Street the grades were limited to eleven. 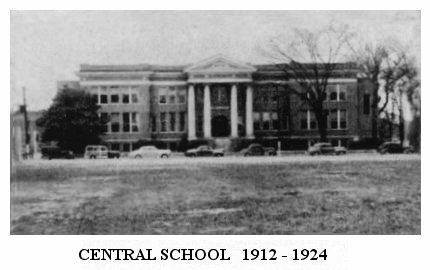 On September 10, 1940, Clyde R. Hoey, then Governor of North Carolina, dedicated the new Fayetteville Senior High School located a few hundred feet East of the older building on Robeson Street. Upon opening of school the 12th grade was inaugurated for the first time. This building with Greek and Classical Revival architecture was clearly one of Fayetteville's most beautiful buildings. The Architect was William Henry Deitrick, designer of the Dorton Arena in Raleigh. 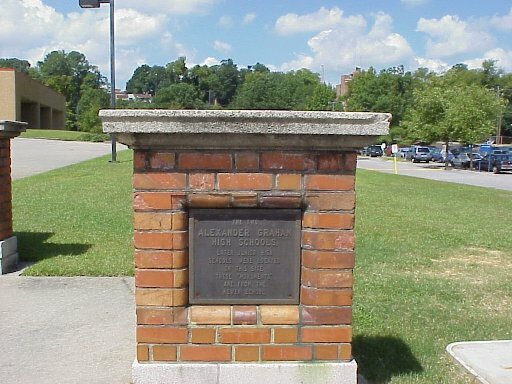 The previous high school was renamed the Alexander Graham Junior High School. This was the Junior High that our Class of 51 attended. City Elementary schools from which we came were Haymount, Central and Person Street. A few of us came from outside our city. We knew them as "Bragg Brats". Now Fayetteville Senior High is cherished in our memory. We and the other graduating classes; the alumnae of those years. We can only remember for the school and its building no longer exist. The Class of 1954 was the last graduating class to have used it's halls of learning. Approximately 2,300 students graduated while it was a high school. In June, 1953 construction was started on a new high school located on Fort Bragg Road. 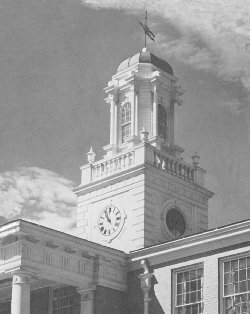 In October, 1954 the student body moved to the new facility. 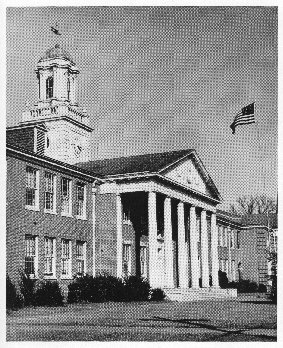 In 1968, that school was renamed Terry Sanford High School. 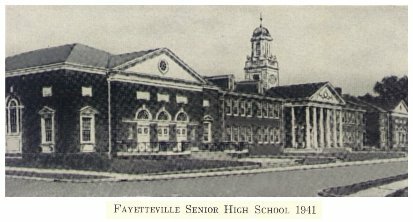 The name Fayetteville Senior High School, with classes 1912 to 1967 ceased to exist. The Robeson Street building, which had opened as a high school in 1940, then became Alexander Graham Junior High School. After two middle schools were built the Robeson Street school closed its doors in 1977. Efforts to utilize the building as a library never materialized and so its fate was sealed. 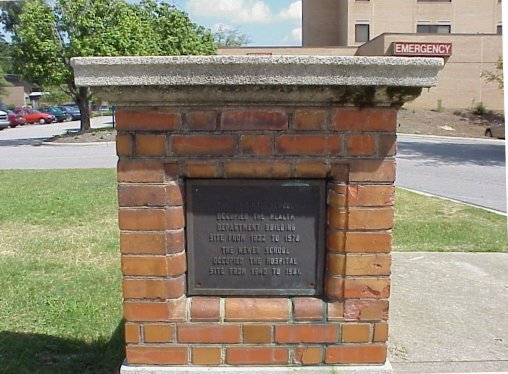 In August 1981 the building was demolished to make way for the new Highsmith-Rainey Hospital. Most of us thought it sad especially since it had many years of life remaining. The magnificent white cupola with its copper roof, railings and clock was saved from destruction by Joe Hollinshed and Wm. K. Kiley with hopes of preservation. However, after lingering on a Grove Street city owned lot and exposed to the elements for a number of years, it was sold. Whereabouts has since been traced to somewhere in South Carolina. We have seen irreplaceable treasures destroyed in the name of progress or necessity. At great loss is the fine artistic workmanship exampled by the many beautiful Doric columns, entrances, window arches and decorative gables of our Alma Mater. OCCUPIED THE HOSPITAL ON THIS SITE. Acknowledgement is given the Fayetteville Observer, Library Department, for their kind assistance.